Are you enjoying the great sleeping weather that’s soon approaching, with temperatures dipping into the 50′s overnight? While it’s true that you’re probably getting better sleep, you’re also probably preparing for what’s coming next – pumpkins, autumn leaves and a Skovish pool that’s closed for the winter. If the latter has you in a funk, maybe it’s time to consider installing a Skovish spa! The benefits of relaxing in a hot tub, even in the dead of winter, is well-documented… so much so that some people can actually write it off on their income taxes when it is prescribed by their doctor. If you’re hooked on the fitness routine you started in your Skovish pool, look into a swim-spa, a cross between a stationary bike and an underwater treadmill. If you’re looking for social engagement through the winter, well, it’s said that you never know how many friends you have until you get a spa! Location – Are you going to put your Skovish spa indoors or outdoors? In either case, place it on a flat, level surface that isn’t going to shift. From there, you’ll want to be near water and power sources, with good drainage nearby, and far enough away from structures so you can easily get in to make repairs. Distance – If you’re going to use an outdoors spa in the winter, don’t place it too far from your back door. You’ll want to lay a walkway from the house to the hot tub, too. What seems like a few steps in the summer becomes a treacherous slide when everything freezes over! Power Source – Make sure you know what voltage you can dedicate to the hot tub. It can make a difference in the size of the spa and hydrotherapy features you can fully operate. If electrical work is required, it must be done by a qualified electrician who will issue a certificate to show conformity. It requires a suitable fused spur with an isolator and an R.C.C.D. of maximum 30 milliamp trip rating. The spa can be hard-wired back to the breaker or wired via a suitable waterproof outdoor connector, if it conforms to regulations. Friends – If you’re looking forward to evenings in the hot tub with friends, you’ll want enough room to comfortably entertain. Looking for medical relief? That’s another story! For that, you might prefer the swim-spa. The bottom line? Come prepared and we’ll do our part in matching your needs with the perfect spa, long before the snow flies! Are Above Ground Pools A Smart Buy? 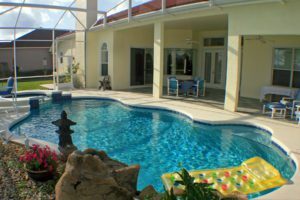 When most people think of pool construction, they generally think of the large, in ground pools that are so popular and so well-known. But above ground pools Luzerne residents can install in their backyards are an option that are gaining popularity in a significant way. Want to make the most of your Skovish pool? Extend your swimming hours … into the evening! With a few tweaks, you can add a few hours of relaxation, exercise, socializing or all of the above. And if you find yourself in need of, say, the perfect float to enjoy the starlit sky, check out our outlets in Luzerne and Shickshinny! While the water may hold some of the day’s warmth, the night air can give you a brisk wake-up call when you step out of the pool. Make sure to keep large, luxurious towels close at hand to quickly bundle up, or better yet, invest in a plush robe. And a Thermos of hot cocoa might provide a welcome respite as you soak up the poolside atmosphere! Always swim with a buddy, especially at night. And if you’re planning to party, let the neighbors know ahead so they can plan accordingly. Why not invite them to stop over and join the fun? Keep in mind, your community might have noise ordinances in place. If that’s the case, be sure to respect those limitations. 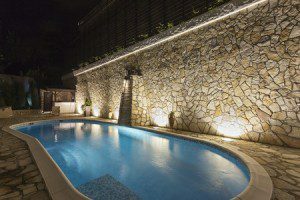 If you find the night addictive – some smooth jazz playing in the background, a candlelit dinner waiting at the poolside, quiet time with friends – consider adding a few night-friendly pool features. You’ll always want to provide lighting at night but to set the mood, there’s nothing like Hayward’s LED lighting. How about adding a fire pit? Come talk to us and we can explore your options! Are Above Ground Pools Worth It? 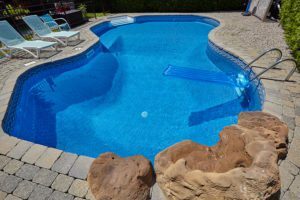 When many people living in and around Shickshinny think of swimming pools, they likely think of the beautiful in ground pools Shickshinny homes may have installed in their backyards. 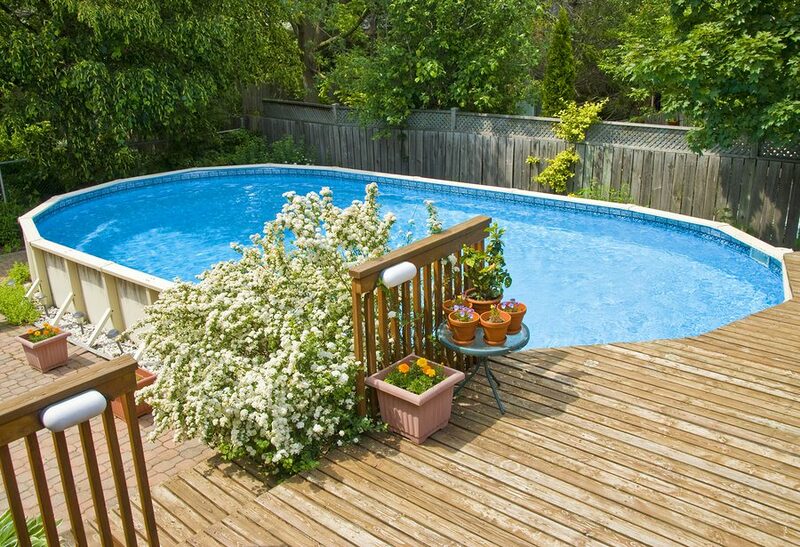 But today, above ground pools are a valid option and one that deserves some attention. 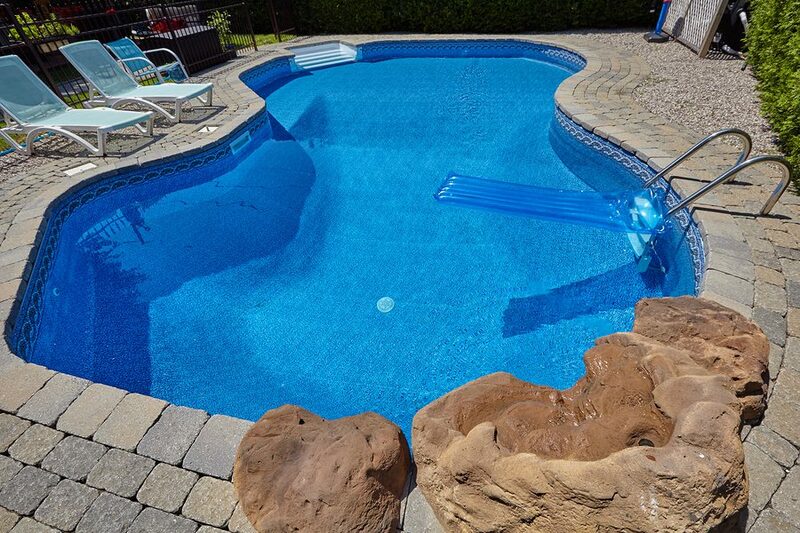 In fact, for many people an above ground pool isn’t just a good option – it’s their best one.